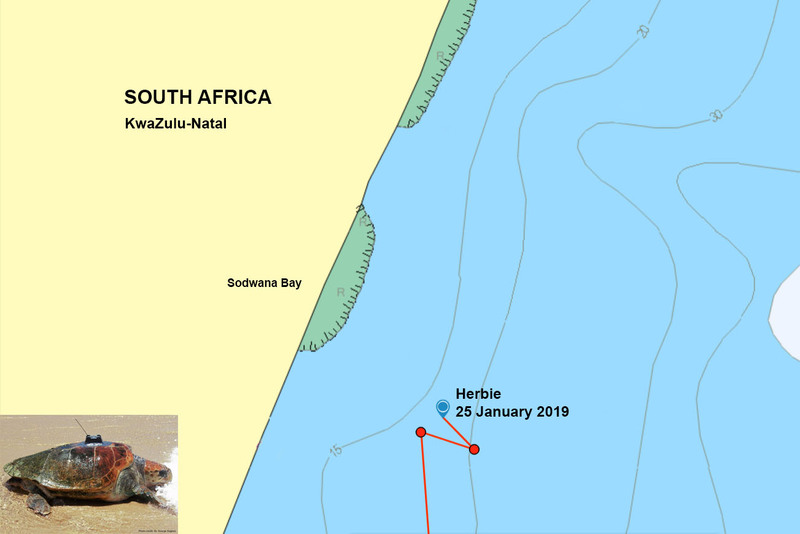 As anticipated Herbie has remained in the Isimangaliso Wetland Park enjoying the protection the Marine Protected Area (MPA) provides. 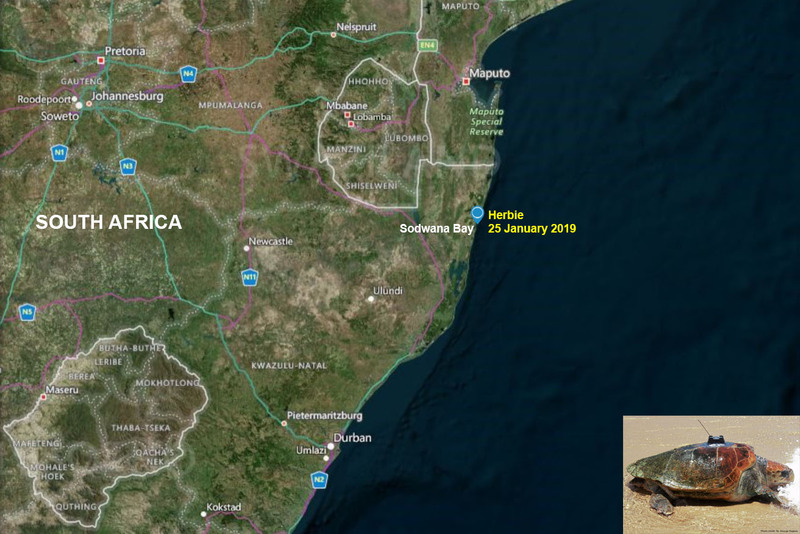 She is currently 300 meters offshore and 8 kilometres south of where she was released on Tuesday 22 January 2019. 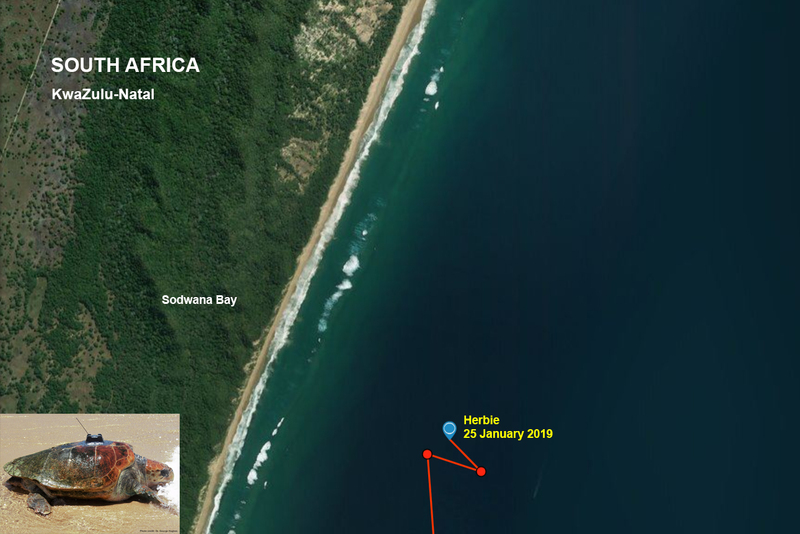 Her track has shown diving activity to depths of 28 meters where she spends some time before returning to an average depth of 4 meters. 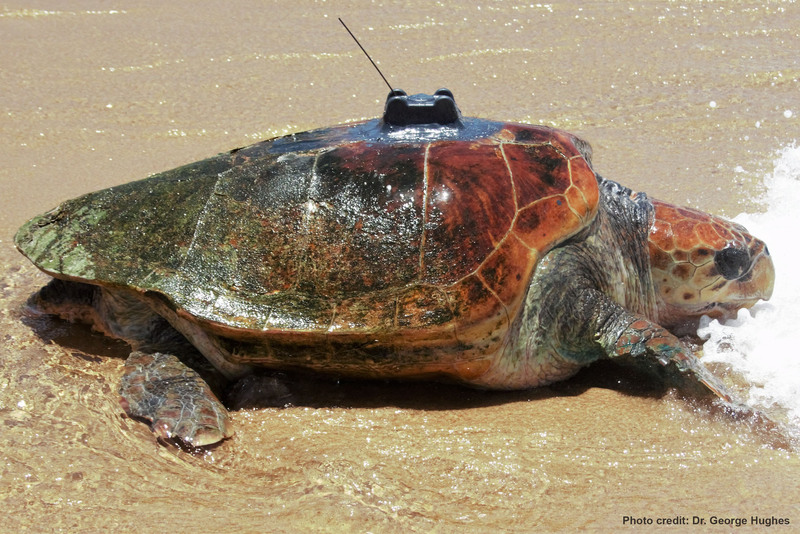 We believe she is enjoying the plentiful food supply provided by the reef as she regains her bearings.